A £300,000 research study into how personalised physical activity could improve the lives of people with dementia living in care homes is being launched today. The three-year programme will be led by Professor Alison Bowes from the University of Stirling’s world-renowned Dementia Services Development Centre (DSDC), and is funded by the Healthcare Management Trust (HMT). 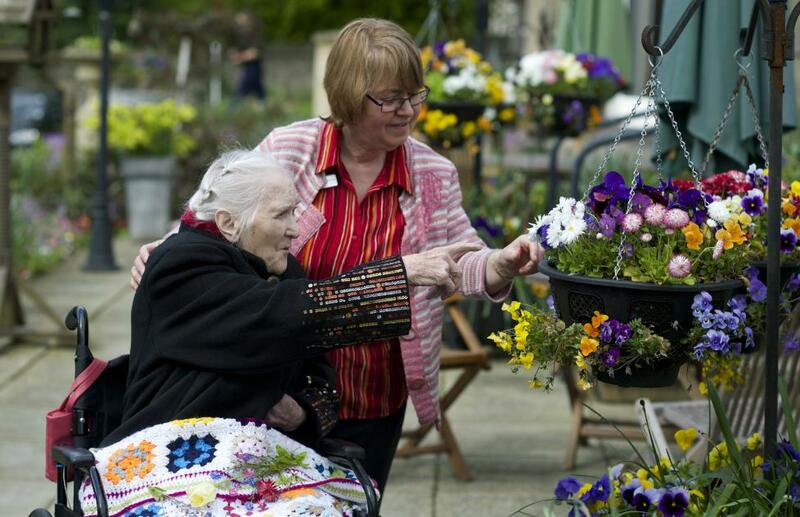 Professor Bowes, who is also Head of the University’s School of Applied Social Science, said: "The University of Stirling is delighted to be working with HMT on this project, for which engagement with the real world of care home provision is essential. HMT are recognised in taking a proactive approach to the provision of healthcare and this research will help directly improve the quality of life for its residents." The study aims to develop, test and evaluate an intervention to support meaningful physical activity for people with dementia living in care homes, focusing on activities that can be integrated into residents’ everyday life and which are adaptable to their changing capacity and needs. The approach will be developed in collaboration with care home staff and embedded into the care home practice. HMT’s Vice Chairman, John Folliott Vaughan, said: "We want to enter into research partnerships that result in tangible findings that can be integrated into the practical settings of our Care Homes. "This project with the University of Stirling is an excellent example. We expect it to provide rigorous research evidence for a newly developed approach to providing personalised physical activity for people with dementia living in care homes. "We will work closely with the University of Stirling and our Care Homes will have an active role in informing the development of the approach and will be among the first to benefit from it and therefore improve their care for people with dementia." The programme will assess current levels of physical activity and sedentary behaviour of people with dementia in care homes and evaluate how care home practice supports or inhibits physical activity, identifying any barriers and facilitators to providing a personalised approach. Chairman of The Healthcare Management Trust, Paul Steele commented: "Funding research is seen by HMT Trustees as a core part of the charity’s work. These projects form part of a portfolio of research projects designed to improve the quality of life and treatment of people with dementia and the Trust is proud to support them." The Dementia Services Development Centre provides publications and training relating to best practice and evidence based care for people with dementia. The Centre sits within the University's School of Applied Social Science. In the 2014 Research Excellence Framework, 75% of the School’s research was assessed as internationally excellent or world leading, with the top 24% rated as world leading. Further details of research projects funded by HMT can be found at: http://hmt-uk.org/funding-research/. The Healthcare Management Trust was founded in 1985 as a registered charity to provide consultancy services to healthcare providers founded by religious groups. Our aim has always been to develop and promote the services offered by associated charitable hospitals and care homes so that they can be a viable alternative to the commercial companies both now and into the future. We own and operate two hospitals: St Hugh’s in Grimsby and Sancta Maria in Swansea. We lease operate two care homes: Coloma Court in West Wickham (owned by the Daughters of Mary and Joseph) and Marie Louise House in Romsey (owned by the Daughters of Wisdom). We hold management contracts with the Hope Residential and Nursing Care Home in Cambridge (owned by the Holy Family of Bordeaux) and the Alexian Brothers Care Centre in Manchester (owned by the Alexian Brothers). In addition, we offer an extensive range of sensitively delivered consultancy services, which are designed to support Trustees, Leadership Teams and Senior Management. Lately we have become more involved in health related research, scholarship funding and other areas of related grant-making. We have identified Dementia diagnosis, treatment and care as our initial area of focus.